RAINSVILLE - Brick Home in Rainsville with 5 Acres of Land! For $99, 900! Looking for room to roam.......that is exactly what this 5 Acres of land offers. 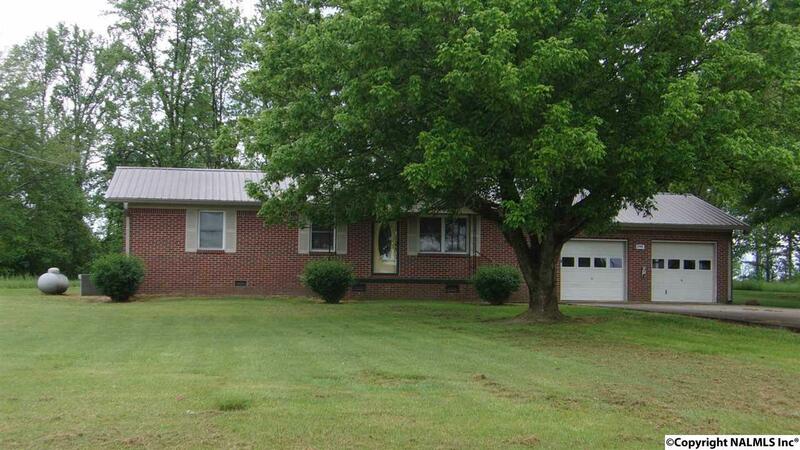 This Brick Home offer Metal roof, LR, Kitchen & dining combo, Utility room, 2BR/1.5BA, Double car garage, detached storage building, concrete drive, lots of shade trees, surrounded by 5 Acres of Land. The home sits right in the middle of the Acreage.